Our FT4/Stage IV diesels employ field-proven cooled exhaust gas recirculation (EGR), easy-to-maintain high-uptime exhaust filters, and selective catalytic reduction (SCR). Automatic torque-converter PowerShift™ transmission with adjustable clutch cutoff feature improves productivity. All daily service points, including fuel, are grouped on the left side for quick and convenient ground-level access. Sight gauges enable quick fluid-level checks. Simple, easy-to-use payload weighing, powered by Loadrite™ technology, is integrated into the LCD color monitor and is available factory- or field-installed for Z-Bar and High-Lift machines. 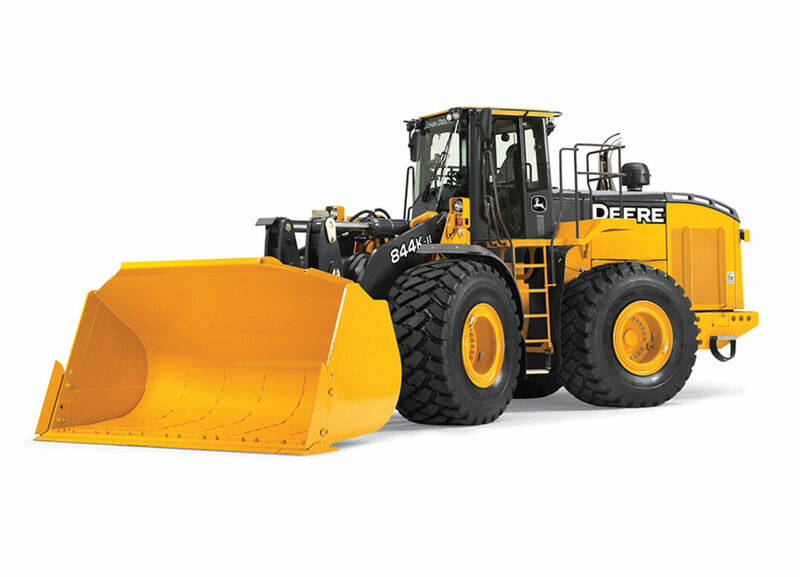 Our production-class loaders have two hydraulic pumps as part of a closed center and load sensing system. Sealed-switch module keeps out dust and moisture while eliminating nearly 100 wires. Prevent unauthorized machine operation with keyless-start requiring a numeric pass code.